Brilliant read – the pace of the book never slackens as the stories unfold. There is an honesty about flawed characters; the three women in this book are all struggling one way or another and the theme running through is how women punish themselves. I read a lot of reviews about the book before I bought it – a lot of them stated that none of the characters were likeable, but I really felt for Rachel – yes she is an alcoholic, but as we travel through her story I had a lot of sympathy for her. This is a story of hope, I was only a third of the way in and I realised just how blessed my life was – Rachel’s loneliness seeped off the pages. She was at her lowest ebb and while she might have done awful things, I believe she was trying hard to please everyone around her. Imagine going to London by train every day and hanging about in Libraries because you don’t want your flatmate to know you have lost your job. She never burdened Cathy (her flatmate) with any of the pain she was suffering, why she was drinking, she carried her burdens alone. Its pity that prevented her from opening up, when you are at your lowest ebb, pity is unbearable. Despite being labelled crazy, dismissed and scorned, she is very brave, she tries to help people, Scott, and Anna, even though they treat her with such contempt. Rachel does pull her life together the ending was very satisfying and hopeful. 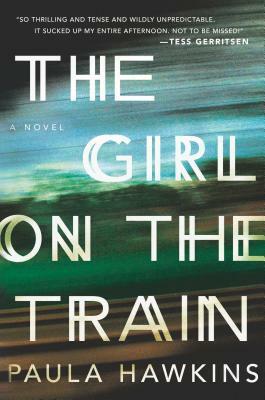 Paula Hawkins writing is excellent, this story drew me in, the characters portrayed so well – and the pace relentless. It takes talent and skill to pull that off, I can’t wait to read more, for a first book this is an astounding achievement.